Farmers with trucks manufactured since the start of 2002 can once again take advantage of the Grain Harvest Management Scheme (GHMS) which allows larger loads on approved heavy vehicles during harvest. 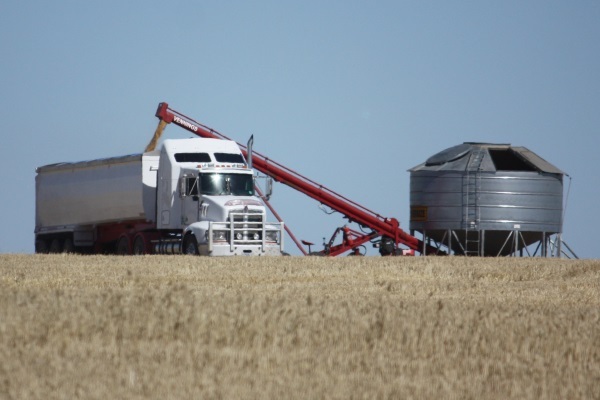 From 1 October this year to 31 May 2019, a Grain Harvest Management Scheme (GHMS) will operate in Victoria to improve the productivity, safety and efficiency of heavy vehicles during the harvest season. The GHMS recognises the difficulty of accurately loading trucks on-farm with grain and has been designed to create some flexibility. The scheme allows participants a five percent mass concession above the statutory General Mass Limit for vehicles delivering grain to a participating grain receiver. The scheme benefits the grain and road transport industries as well as the wider community as it allows for an efficient grain harvest while eliminating overloading on our roads through appropriate administration procedures and compliance activities. Director of Heavy Vehicle Services, Eric Henderson said the scheme gives operators greater ability to transport more grain safely. �We know that the grain harvest season is a busy time of year on our roads, with farmers and heavy vehicle operators transporting big loads across the state and we�re here to support them,� Mr Henderson said. Mr Henderson said older vehicles can continue to operate as they have done so in previous years. Following on from the success of last year�s scheme, the season will be extended from 1 October through to 30 May, 2019 to reflect industry feedback. The scheme supports the Victorian Government�s �Towards Zero� strategy, encouraging the use of safer vehicles to carry increased loads and cutting the number of overall movements. To apply for the 2018 Grain Harvest Management Scheme, visit the Grain Harvest Management Scheme page.